This is my third growth report on OliverKenyon.com. I use these reports to share my progress updates from both a business and a personal point of view. You can view my previous reports here. I turned another year older in September and that means I’m another year closer to my 30th Birthday! I’m currently 28 and I’ve set myself a personal goal/task to complete by the age of 30. Only a few people – including my girlfriend Josie, and business partner Andy – know about this goal, and I’m not going to reveal it until it’s achieved. The above is just a reminder of how hard I need to work over the next year in order to achieve my personal target before I turn 30. My birthday was amazing this year, but I’ll get into that below in the personal section. As far as business goes, I mentioned last month that I would hope for September to be my “closing month”, and to some extent, that did come true. We managed to close on a site acquisition, which I will detail below. We also managed to close on some investments, but as always, these things take longer than planned. With that being said, September was a very busy month both in the personal and the business sense, but I’m hoping a few more “closures” happen in October after the appropriate amount of due diligence and preparation. So, I have three important announcements to make this month. The first one is the exciting new acquisition that FixForums made in September. We finally managed to close and complete on a deal we’ve been negotiating for months. FixForums Ltd is now the proud owner of ukwebmasterworld.com. The website and forum have been around for years and have been featuring established content, a notable user base, and a great reputation. We plan to relaunch the platform in October, but not as it currently is. Thus, I’d now secondly like to introduce you to WebsiteFix.com! I will go into more detail below, but look out for the latest addition to the FixForums communities launching in the month of October. Lastly, my partner Andy Haskins and I have been working on an exciting start-up that for now we will call “project x”. It’s in its very early days, but business plans are almost done and we already have several investors chomping at the bit to get involved! It was, and always is, another busy month for Lovecars. September was a month spent going over everything we’ve done up until now and making sure we iron out the normal bugs, alterations, and style changes that come with launching something on this HUGE scale. We had some great meetings this month whereby the whole team managed to get together several times in order to run over everything and make sure we’re ready to push the button! Speaking of pushing the button, we are all very confident and excited that October is the month of our much anticipated pre launch competition. I won’t reveal too much about the pre launch, but I’m pretty sure all you car fanatics will be majorly excited when we open the doors! My partner Paul has been working on business relationships this month, and he’s done an amazing job in setting up several new strategic partnerships with some of the TOP people in the automotive industry, which should give us some incredible exposure when we come to launch. These are VERY exciting times! Also, something that is even more exciting is the fact that our Facebook page is about to hit HALF A MILLION LIKES! We’ve grown over three hundred thousand in the past three months! 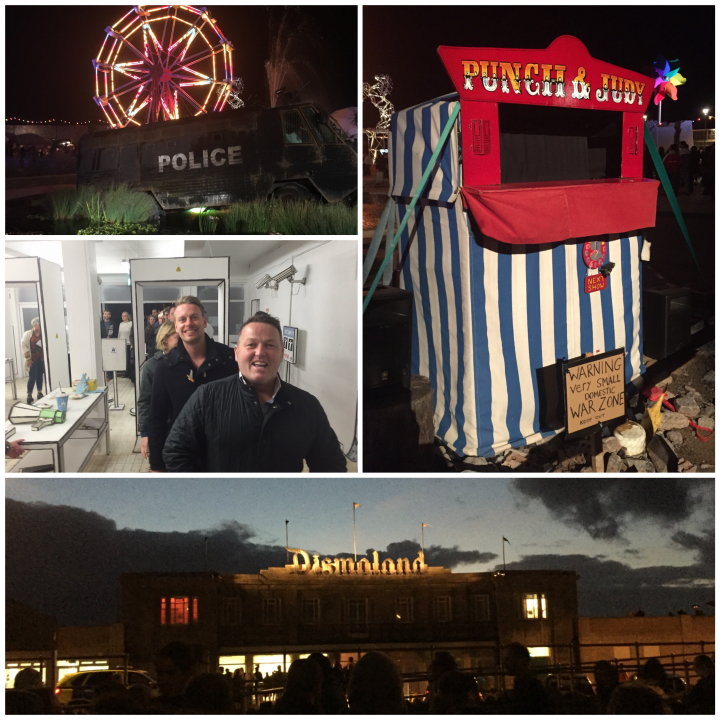 Oh, and we even managed to take an evening “off” together where the team visited Weston Super Mare and took a trip to the Banksy exhibition, Dismaland. Let’s dive into the announcement from above that FixForums is now the proud owner of ukwebmasterworld.com. We’ve been working on the deal for several months and finally managed to close and exchange at the end of September. Happy Birthday to me! We plan to relaunch the site and merge it with our new forum, WebsiteFix.com. WebsiteFix will incorporate the user base and content from ukwebmasterworld, but will be a completely new webmaster forum. We plan to be the latest and best place for webmasters to call their home. Everyone has seen the demise of the Warrior Forum and DigitalPoint over the past few years so we plan to fill the gap in the industry for an honest, friendly, and most of all, helpful webmaster community! We did it when establishing AffiliateFix, and will do it again with WebsiteFix. Speaking of AffiliateFix, it was another super active month on the forums. We were lucky enough to have my good friend and mobile superstar Taiwo, aka CashMoneyAffiliate, participate in our Affiliate Marketing Expert Week. Mobile marketing is at the forefront of affiliate marketing right now, so as you’d expect, it was our busiest ‘Ask the Expert’ to date. It was amazing how the blog post about growing your brand with $100 and a t-shirt sparked so much interaction about the AffiliateFix t-shirt. I couldn’t count how many people have contacted me since, asking for one, so be on the lookout in October when we put them back on sale! AffiliateFix continues to grow at a rapid rate and further establishes itself as the number one affiliate forum online! Most impressively though, in the month of September, was the growth of EntrepreneurFix! My staff, including Roger, has done an amazing job this past month on getting the forum relatively active! We’ve almost doubled last month’s growth report and the forum is starting to really take shape, which is amazing! I set myself a task in September to get our Facebook groups active. Now every night – without fail – before I hit the sack, I go into the AffiliateFix and EntrepreneurFix Facebook group and ask a question that should demand engagement. Just from doing this every night, the groups seem far more active and are growing at a quicker pace. This also has a rub-off effect on the forums, which you can see below! The industry has woken up! Q4 and Christmas round the corner seems to have sparked the industry back into life! We’ve seen more enquiries and new leads in September and into October than we have in the past 3 months. As I’ve mentioned before, lots of advertisers are transitioning their businesses from trial offers to straight sale or subscription-based models. This has seen us take on some great new clients in the product space. and introduce you to the right people and networks to take your product from nothing to an overnight success. AffiliateFix has enabled me to network and build partnerships with some of the biggest and best networks, banks, affiliates, and more in the industry. This is why most people now choose us to take care of their pages and funnels! A large portion of our month was spent focusing on one of our biggest client’s server issues. They unfortunately came under attack from hackers who managed to wipe everything on their server. I’m not writing this to promote the fact that we managed to restore everything and clean up the server, but merely to remind anyone with a business online to set up remote backups daily and make sure their server is managed or secure! We expect October to be our busiest month of the year so far, with so many new leads and partnerships coming true. Using Competitions to Rapidly Grow Your Sites! How to Grow Your Brand With $100 and a T-shirt! I’ve started to set up some small ads that run a day or two after I publish my blog posts, just to get a little more exposure and to get people used to seeing my blog. 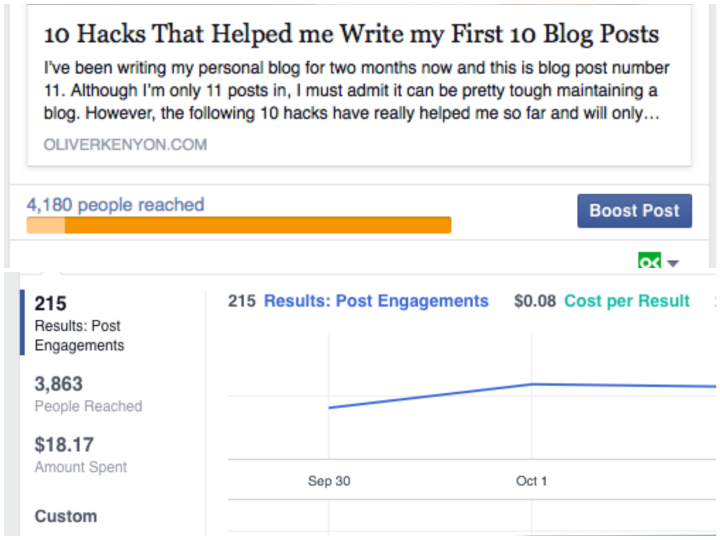 I’ll write a post on it soon when I have more data, but I’ve managed to get some super good cost per engagements and some great traffic to the blog. We’re also doing some work on improving the blog layout and ensuring people stay and read several articles. As I write this, I have one of my team working on installing and styling my new SPR PRO plugin that was recommended to me by my good friend LukePeerFly. This should entice people not only to read the post they are on, but also to browse through my other content as the blog grows. What I want to get out of October is to engage with my readers more. I’m going to be setting up a daily post on my Facebook page and also asking for your feedback on my blog so far. If you’ve come this far down the growth report and are reading this, please head down to the comments section and truthfully let me know how I’m doing and what you’d like to see more of, or even less of, on my blog! Did I mention it was my Birthday in September? We always have a running joke in my family that my birthday seems to run for a month. I always like to plan some special days out, etc., but this year, my Birthday was short and sweet! It fell on a Monday, so on the Saturday, several of my closest friends and I took the train into the city of Bath. If you haven’t ever been to Bath, plan a trip now! It’s hands down one of the most beautiful cities in the UK. This visit wasn’t spent taking in the sites though, as you can imagine. Instead, we went on a good old-fashioned British “bar crawl”. 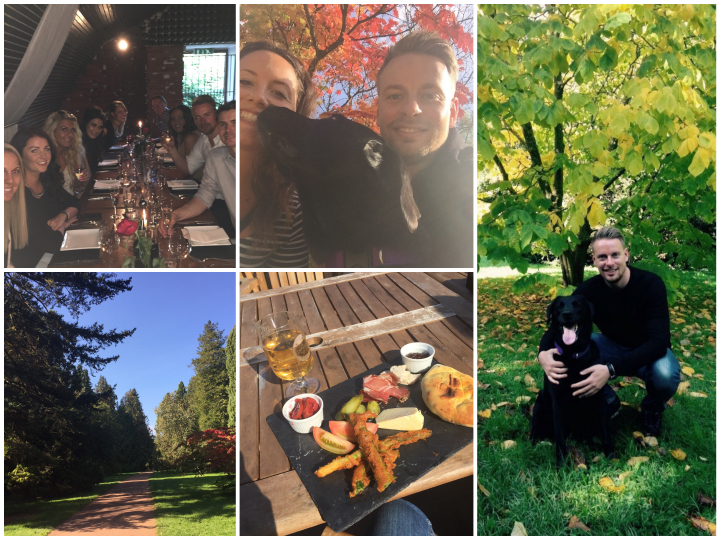 We visited some amazing unique cocktail bars and also managed to have a big sit-down meal with plenty of Prosecco of course! I was then lucky enough to be treated to a day out on the Monday of my actual birthday. My girlfriend, Josie, along with Dennis the dog, took me to the arboretum and it was amazing. Thankfully the sun was shining all day as we enjoyed a nice long walk amongst the amazingly colourful trees getting ready for Autumn. We then went into a local town and had some lunch, followed by an evening meal out with both of our families. Thank you to everyone who made my 28th so special and those of you reading who wished me a happy birthday! 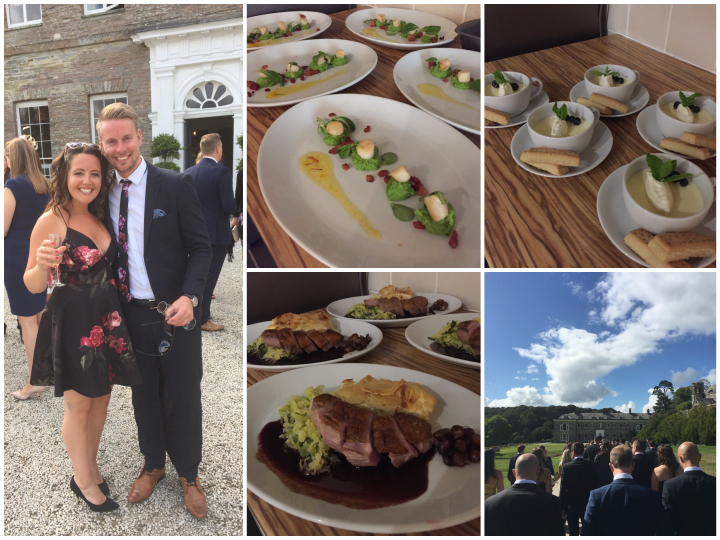 September also featured an amazing holiday to Cornwall with Josies family and the wedding of some of our closest friends. The week away was amazing and I mostly enjoyed spending the whole day back in the kitchen cooking up a nice three course meal for the family. It was also a great honour and privilege to be invited to our friends wedding and see them tie the knot in front of everyone! What a week that was! As for fitness, I’ve recently started playing 5-a-side football again on Thursday nights. This unfortunately stops me from running, as I’d normally run everyday, except for Wednesday when I do a circuits class. I still managed to beat my last month’s distance total and also managed to squeeze in a few longer runs this past month, doing a 10k and several 8/9k’s! I can totally notice the difference this past few months running has done to me. I feel much more energised, look more in shape than I have the past few years, and now love to get out on my afternoon runs. 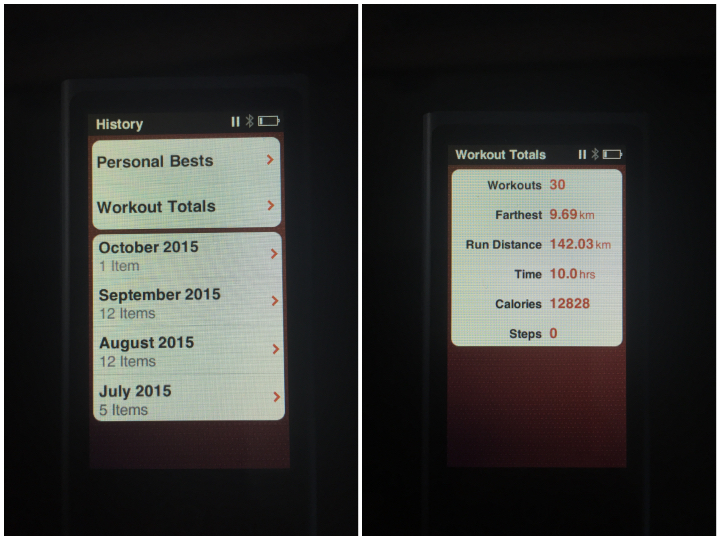 In October, I plan to do more 10k’s than 5k’s as I continue to step up my fitness. I just need a solid week of running next week to work away the birthday shenanigans of lots of food and drink! Time to get another busy month started with the launch of WebsiteFix, Lovecars and more work on current businesses and project x. Let’s go!